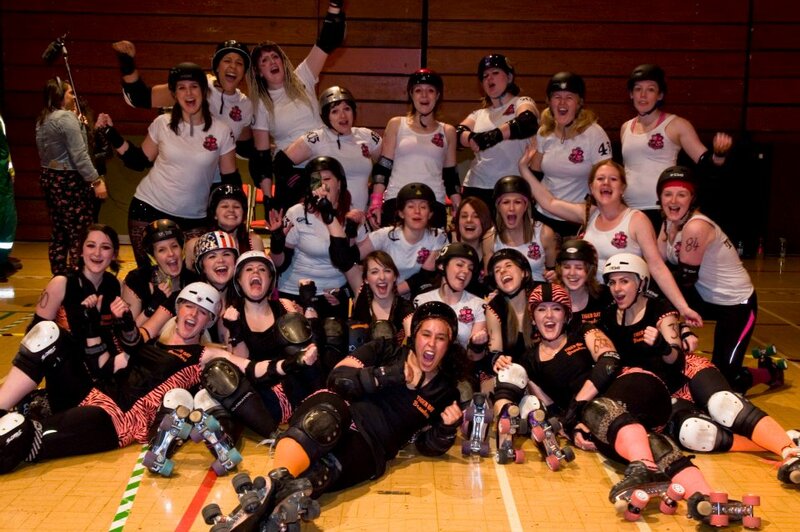 On a cool crisp winter’s morning CCR’s Slay Belles boarded their bus coffees in hand, Roller Derby World Cup antics on their mind and the small matter of a bout of their own to play, if not WIN! Arriving in Newport after assurances they didn’t need passports to get into Wales, the Slay Belles wasted no time kitting up and getting ready for the bout. 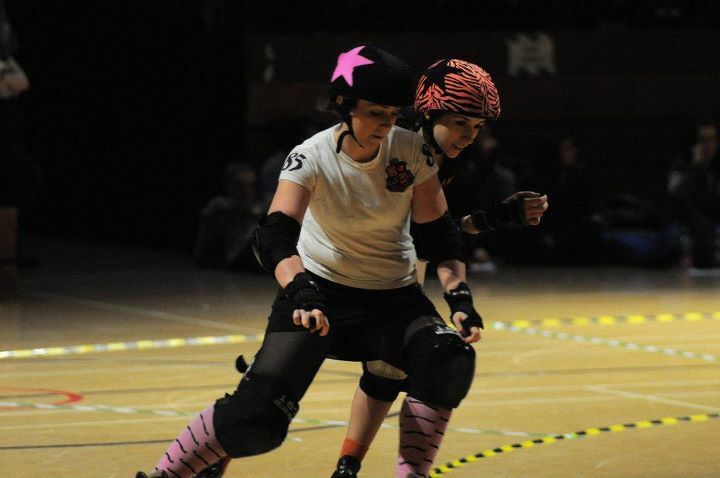 As the warm ups took place, it was clear that both teams had been training hard, and had their fingers on the pulse of what ‘s happening in Roller Derby at the moment – both teams looked comfortable ‘taking the knee,’ executing the ‘Philly Wall’ and counter-action – and also using old skool style booty blocks and killer walls. CCR took the first lead jammer of the day and called it off, with no points to either team. Tiger Bay (TBB) came out all guns blazing, and the CCR pack work was tight, but the penalty box’s revolving door was busy, giving TBB and CCR chance to show off their effective work when down in numbers. After 30 minutes of fierce derby HT was called by Head Ref Chaz Tizer (like the fizzy pop off of the 80’s) with the score showing 109 TBB – 32 CCR. Second half kicked off with a CCR power jam – whatever Captain Incredible Hulse and Bench Staff Stevel Knievel & Lex Brawl said in the interval seemed to be working, but just like the first half of the game TBB came back hard. More tight pack work for CCR gave TBB a hard time, and made them work for their points. Jammers from both sides were in and out of the penalty box,and the aggression of the day’s game started to show on the girl’s faces. The final score was not on CCR’s side -Tiger Bay won 201 to 104 but the Slays never gave up. Watch out world, the Slay Belles train hard and play hard…. don’t call them “just the B team”.